Our Vacuum Arc Re-melting technology delivers consistently higher yields and replicateable metals and is ideal for high integrity applications where cleanliness, homogeneity, and robustness of the final product are essential. 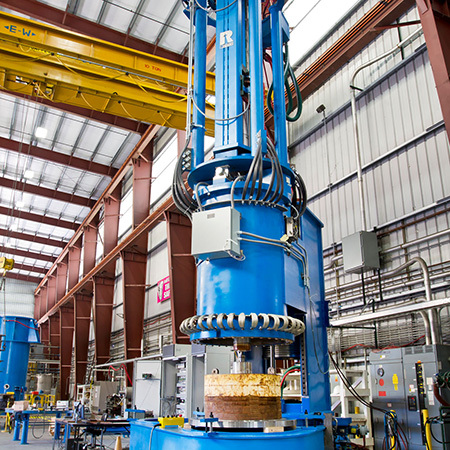 We bring more than 30 years experience to the design and manufacture of Vacuum Arc Remelting (VAR) furnaces, a technology typically utilised for the production of Titanium, Nickel and steel ingots. Our precision weight monitoring system, furnace coaxiality and multi-mode control system provide improved ingot properties. Our VAR furnaces can be configured for a range of capacities for producing ingots or castings, from a laboratory scale to many tones. As an integral part of our VAR systems, we also offer our own Macroamp DC arc melting power supplies.